Always wanted to travel to Lithuania? Read a little about the country and scroll down to find our Lithuania travel ideas – you will see the Tours to Lithuania at the end of the page. Start your tour of The Baltics from the South and Lithuania will be the first of the Baltic States you visit. The country has Latvia as its neighbour in the North, Belarus – in the East and South-East, Poland and Russia (Kaliningrad) - in the South-West. And of course – the Baltic Sea coast in the West. 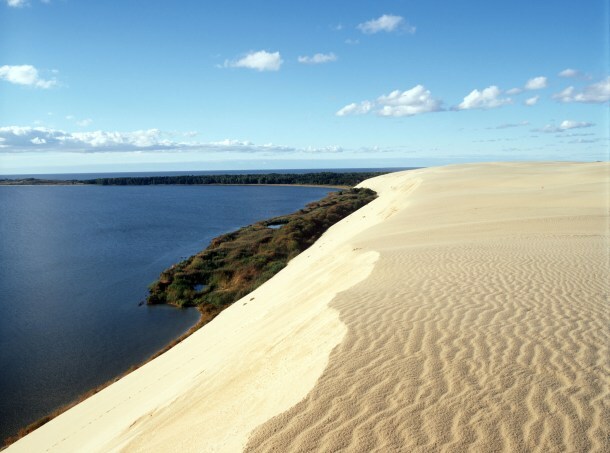 This coast is one of the most attractive places in Lithuania because of the Curonian Spit – a narrow peninsula washed by the Baltic Sea on one side and the Curonian Lagoon on the other. It is a UNESCO World Heritage Site full of picturesque sand dunes, fishermen‘s villages and long beaches. TRAVELLING IN LITHUANIA. Lithuania is the only one of the Baltic States that already was a sovereign state in the 13th century and during the 14th century was the largest country in Europe. 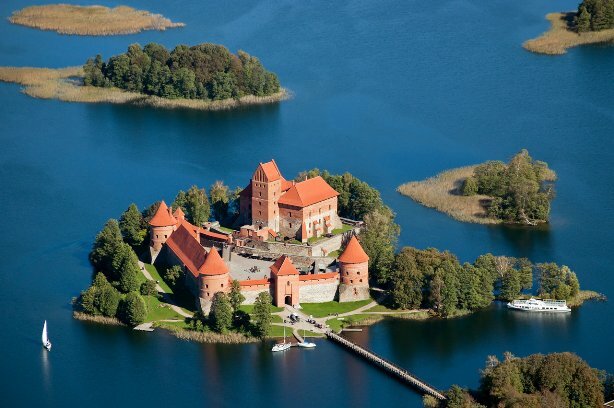 There are plenty of medieval castles all around the country that were home to the Dukes of Lithuania and served as defensive fortresses during wars. Throughout the ages the country has also been taken over by few other nations that have left their marks in Lithuanian culture and history. 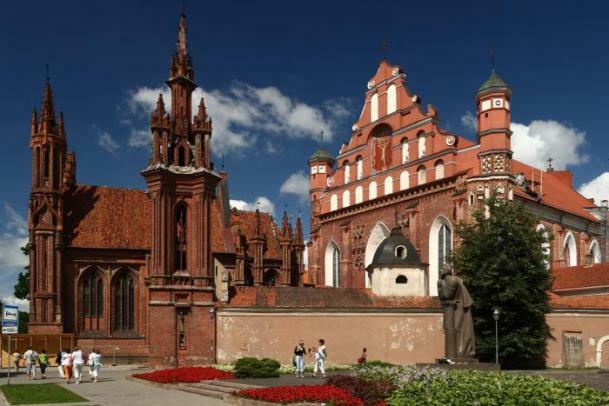 While travelling in Lithuania you will find out that this country had its capital moved from one city to another a few times. 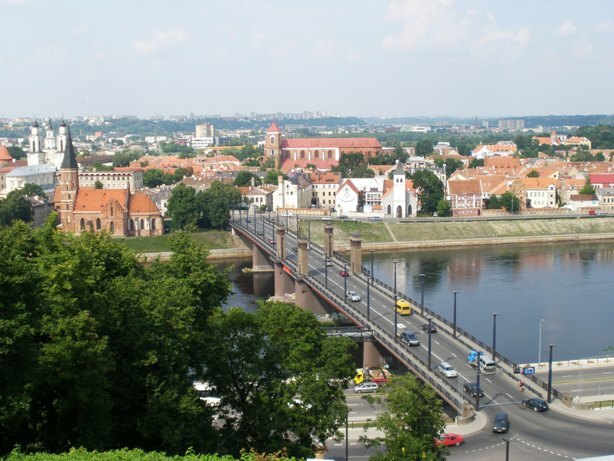 And even though Vilnius is the capital of Lithuania, do not miss the chance to visit Kaunas – the second largest city and temporary capital during the Interwar period. And you already know the seaside of Lithuania is special but there is one more unique place that you will visit on the way from Vilnius to the seaside or Riga. 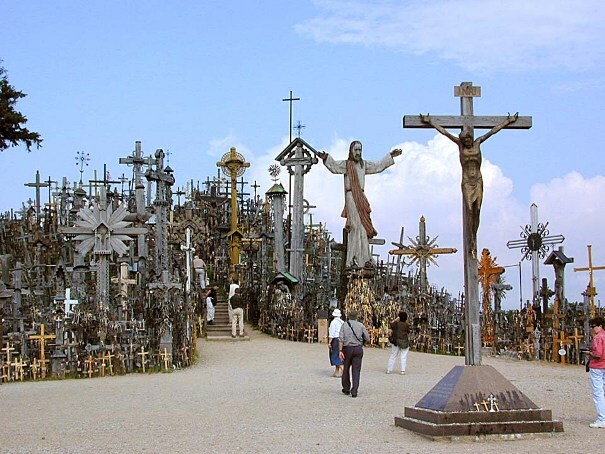 It’s the Hill of Crosses – a place where thousands of crosses have been put over the years for different reasons. Lithuania is easy to reach by plane from anywhere in Europe and the rest of the world. Travel distances within the country and to other Baltic States are short and convenient. Scroll down to find the tours to Lithuania!